Denimpex has been active in the overseas onion import trade since 1955. The company from Amsterdam, the Netherlands, has imported onions from all corners of the world for 63 years. 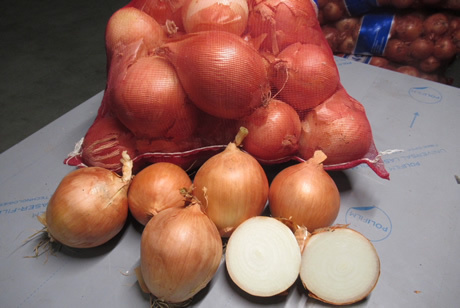 Besides the import of onions from New Zealand, Australia, Tasmania, Chile, Mexico, India, Japan and Egypt, Denimpex has also started importing onions from China this year. “After having searched for the right varieties for years, we have now finally developed the right variety that’s suitable for the high quality requirements of the European market. 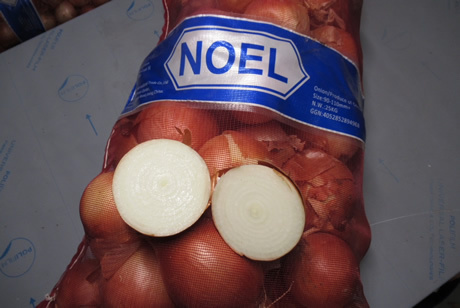 With our grower we made sure the onions have the necessary GlobalGAP and Smeta certificates. After having worked hard for years, we finally managed this all this year, which was a difficult task in China,” says Danny Deen. 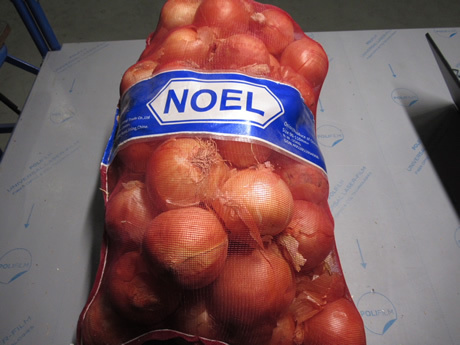 Denimpex started with onions from China three weeks ago in the sizes 50/70 mm, 60/80 mm, 70/90 mm and 90/110 mm, all packed under their own NOEL brand in 25-kilogram bales. “The situation is so bad, Europe has about 30% fewer onions as a result of the changing weather circumstances. The export to overseas destinations is so big, stocks are decreasing rapidly. And it's not just Europe that has has low yields this year, this is a global phenomenon,” Danny says. “The Netherlands has a yield of about 725,000/MT. Up till now, an export of 425,000/MT has already been shipped to overseas destinations, and about 100,000/MT is in hands of speculators. It’s expected we’ll have price levels in January never seen before. The cards of import onions have already been dealt among traditional importers who import from the Southern Hemisphere every year. However, people should realise that everyone will try to import onions from every corner of the world to Europe in this situation,” the importer says. “New Zealand is already selling to islands such as Fiji for prices of NZ$ 28.00 per bale. We can already speak of a global onion crisis. While Dutch onion packers and exporters were still selling onions for €0.08 per kilogram, the sky will be the limit this year,” Danny concludes.